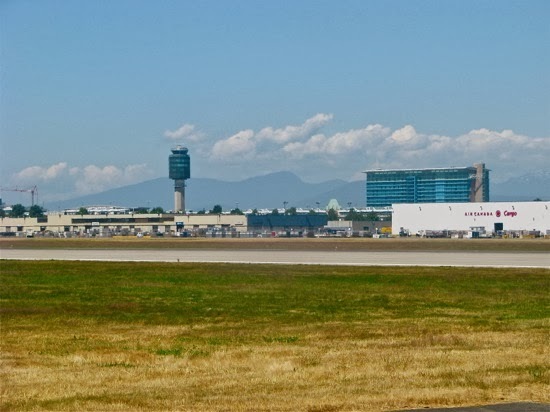 The Fairmont Vancouver Airport is to the right of the control tower at YVR. 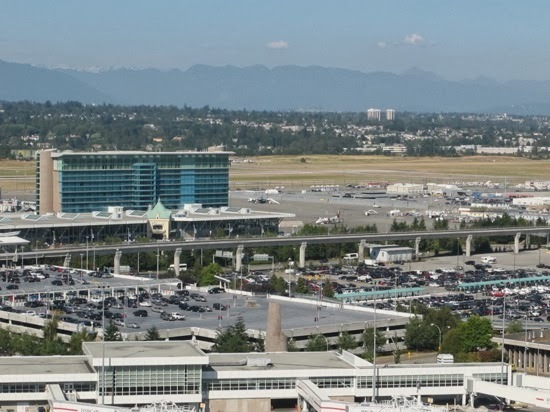 Hard to believe The Fairmont Vancouver Airport turns 15 this year. When it opened in 1999, there was no shortage of buzz. As the first hotel in the world to offer in-room airline check-in service, it was also the first in North America to provide satellite check-in kiosks. I've stayed at the hotel several times (once on the allergy free floor), and it's one of my favorites. The 392-room hotel is accessed by an escalator from the US Departures Terminal at Vancouver International Airport. To celebrate the occasion, each month through October 2014, there will be "15" offerings from the hotel and guests may share their favorite memories through social media at #FairmontYVR15. Current specials are featured on their website, including a limited number of $15 room rates on the actual anniversary date of October 7. A year-round Celebrating Anniversaries package offers rooms from $249 with a $15 per person food and beverage credit. Reservations may be made through 800.441.4114 or www.fairmont.com. 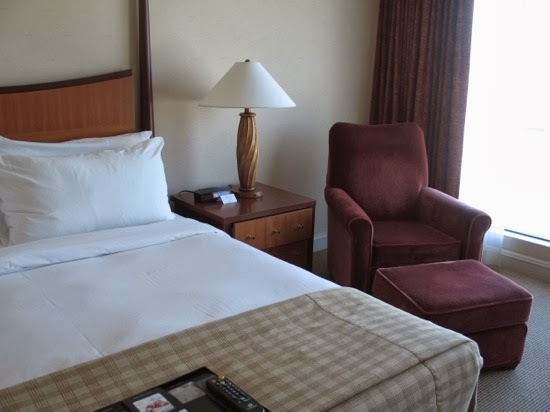 A well appointed and comfortable room at The Fairmont Vancouver Airport. No surprise The Fairmont Vancouver Airport picked up Best Airport Hotel in North America in 2011 and 2012 by Skytrax World Airport Survey. The hotel features a full-service health club, mechanized lap pool, spa, restaurant and lounge that caters to a variety of dietary needs. and top notch business facilities. The hotel also offers a number of unique packages. If you're traveling to the sun, store your winter woolies at the hotel and retrieve them on your return; newlyweds may leave the wedding gown behind and pick it up cleaned and boxed following their fly-away honeymoon; and families may book a second room at half price. The Fairmont Vancouver Airport also has a Fish Valet who "checks in" prize catches upon their return from BC's west coast fishing lodges. The hotel stores them in its special fish freezer on the Departures level. Recent "stayovers" included a 900-lb. sturgeon and a 180-lb. halibut, while others end up on dinner plates, courtesy of the hotel's chef. And on the human side of things, blogger Jaeger Mah "lived" at the airport for 80 days, which I wrote about in a previous blog post. How fun would that be? The Fairmont Vancouver Airport. Photos by Sue Frause.